This is definitely where your passion and past times meet. It has been preferred by people who yearn to escape from the busy metropolis. Situated on the tranquil and inviting Capitol Hills area, the Celebrity Club is indeed the ultimate name that comes to people’s minds when they think of recreation and relaxation. Through the years, the Club has expanded its features in order to keep abreast with the latest trends in sports and leisure. 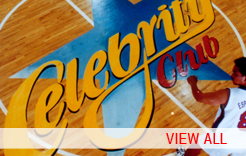 From its inception in August 1979 up to the present, Celebrity Sports Plaza, Inc. has consistently lived up to its lofty pedigree as one of the country’s leading sports clubs. 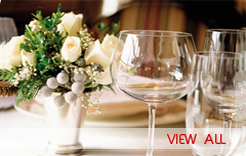 Additionally, the club is a classy venue for special events and functions. Celebrity Club today boasts of state-of-the-art sports facilities that cater to sports lovers of all ages. Its famed Olympic-sized swimming pool is the envy of the club’s contemporaries. Its indoor sports amenities always play host to prestigious sports tournaments from distinguished organizations like the ANPC-ISCBC, various Philippine Rotary chapters, local media organizations, government agencies and private corporations. Folks who aspire to commemorate their most treasured occasions in the best possible venue available have only Celebrity Club as their prime choice. Many of those who had gone through the enchanting “Celebrity Club experience” will vouch that the most revered debuts, birthdays, weddings or kiddie parties deserve to be done within the Club’s hallowed confines. From our nation’s esteemed leaders to the average Filipino family looking for the true definition of excellent service, Celebrity Club’s name will forever and will always be synonymous to the best aspects of achieving the ultimate in consumer satisfaction. 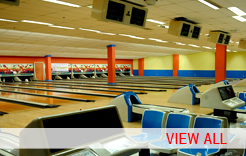 “It was the sport of bowling as the sole reason why Celebrity Sports Plaza, Inc was built way back in July 7, 1979” says multi-titled sports icon and local bowling legend Dion Averilla as he recalls fondly like it just happened yesterday. According to Celebrity Club’s able Bowling Committee Chairman, CSPI was constructed because our country needed a venue for the staging of the prestigious Federation Intertionale des Quillers bowling tournament in 1979. Mr. Averilla had been a club member since CSPI first opened shop. Way back in those days, the hardwood game of Ten-Pins and Black Balls was the rage among local sports circles. Names like Paeng Nepomuceno and Bong Coo were what Manny Pacquiao, James Yap, Dennis Orcollo are today – mega-popular sports idols. Even the Club’s very first General manager was a sports celebrity in his own right; some flashy basketball player by the name of Robert “Sonny” Jaworski. Oh yes, “The Big J” of Philippine basketball once upon a time, called the shots here at the Club. When a big bowling tournament would be underway all roads lead to Celebrity Sports Plaza, Inc. at Capitol Drive. The club then boasted of 40-plus classy bowling lanes and the now-famous Olympic-sized swimming pool. Both amenities were unparalleled at the time. Also, according to former CSPI HRD Manager, Ms. Susan Alvares, the club was the preferred venue for the staging of popular TV shows of yesterday like “Superstar” of Nora Aunor, “Ang Bagong kampeon” of Ms. Pilita Corales and Mr. Bert “Tawa Marcelo, “Loveliness” of Ms. Alma Moreno, “The Maricel Soriano Show”, “V.I.P. of Ms. Vilma Santos, “The Manilyn Reynes Show”, and most notably the country’s undisputed top noon-time show – “Eat Bulaga”. The Pop Diva Kuh Ledesma held her very first major singing engagement here at the club staged at the Grand Ballroom which could accommodate a 3000 strong sitting studio audience. It’s no wonder that Celebrity Club was a byword with talks pertaining to lavish TV productions. Celebrity Sports Plaza indeed was where denizens of both local showbiz and sports scenes interacted. It was the most posh place in Metro manila during that colorful era. Be it in the arena of sports or in the realm of tinsel-town, this is where glamour reigns. It doesn’t get any glitzier than the one and only “Club of the Stars”! Celebrity Club has raised its standards several notches higher. In its consuming desire to meet your discriminating tastes, the club is offering the best of both worlds. Whether you’re a serious athlete or a plain sports buff, Celebrity Club has a wide range of sports and training facilities, from the just-for-fun variety to Olympic-class level. Whether you wish to sit back and relax to do straight business, it offers you the most a club can offer. Celebrity Club provides the cozy amenities – from invigorating health spas to posh restaurants – and UNLIMITED internet access. Indeed for very good reasons, members have found the new Celebrity Club suited to their need for both business and leisure. A happy and Secure home for members and their families. Celebrity Sports Club endeavours to deliver the comforts and security of a home and commits to provide wellness and total satisfaction to its members by continuously providing quality facilities, equipment, programs, activities, and services through its committed and dedicated personnel. The club sits on a 2.3 hectare property just across Capitol Hills Golf Club and is a few minutes away from Ayala Heights. It is near the school zone of UP-Ateneo-Miriam, Congress, Broadcast City (RPN 9, and IBC 13) and is accessible along Commonwealth Avenue, Katipunan Avenue, and C5. Vice Chairman: Guillermo Batac Jr.